My Creative Process is the online course I developed which only runs twice a year, due to my own commitments. Each time it opens, I get excited because I love sharing what I’ve learned over my writing and publishing career. To explain further: My Creative Process runs for four weeks and lessons are released daily on a weekly topic. I try to appeal to as many learning styles as possible, so lessons incorporate written instruction, diagrams/charts and video. Full of notes, exercises and tips, students will be encouraged to participate and engage with their creativity. Students also get the opportunity to have a piece of their work (up to 3,000 words) assessed. This 250-word feedback is worth the cost of the course alone. Students will gain confidence and knowledge from the course to assist future creative endeavours. Ooh, there are some fascinating prospects in there! Hit the below button to get a detailed description and breakdown of how things are structured! When registering, be sure to use the discount code EARLYBIRD. This is a limited offer and will close on the 21st October, although registrations will remain open until the 4th November. Exciting times! 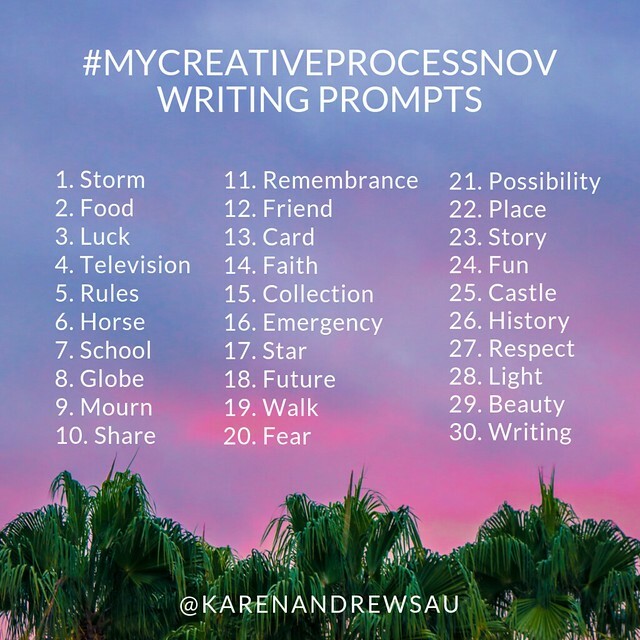 My Creative Process – Open for November Registrations!